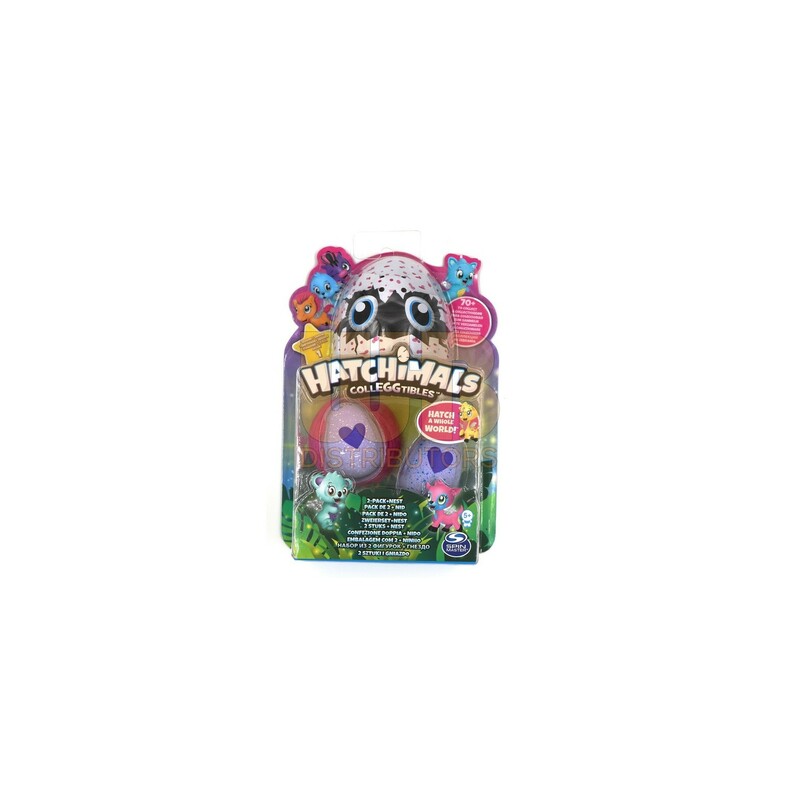 Introducing Hatchimals CollEGGtibles adorable collectible Hatchimals that come inside small, speckled eggs. Each Hatchimals CollEGGtible needs your help to hatch! Hold the egg in your hands, rub the heart and when it changes from purple to pink, its ready to hatch! Press on the egg to crack it and discover which Hatchimal CollEGGtible is inside. Based on the colored speckled egg you can tell which family your Hatchimal belongs to before they hatch. There are over 70 to collect in Season One, even ultra-rare and special edition Hatchimals to find! Use the collectors checklist and map to keep track of your collection and discover more about Hatchtopia. 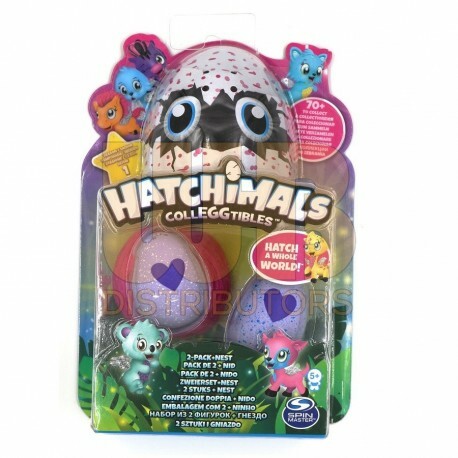 Hatchimals CollEGGtibles Hatch a Whole World! Package contains two (2) Colleggtible eggs and one (1) nest.